It was an omen of sorts to see former Geelong utility player Damian Drum waltzing past the Deni Ute Muster enclosure with a colourful fellow National Party power broker Barnaby Joyce. This was the Australian Country Music produce festival - curtain raiser to the Essendon-Geelong AFL agrarian game - and Deputy Prime Ministers are rarely seen of the Murray Dixon on tribal land. Drum, now 56 and MHR for Murray since 2016, was well qualified to be a benefactor for such a momentous occasion. In his 63 games for Geelong from 1980 he was also the chosen singer on the Cats team bus when he became renowned for country classics such as the Beat Farmers Biblical belter Gun Sale At The Church. And during his 14 years as a state MLC he was Minister for Sport and Veterans Affairs in the Napthine Cabinet and shared Upper House chambers with fellow country musician David O'Brien MLC of Rusty Bucks fame on the Shipwreck Coast. It's not clear if his singing truncated his three year career as Fremantle coach from 2001 but he cut a mean figure on the dance floor of the Do Da cowboy bar in Fort Lauderdale on the eve of the 1988 Geelong-Collingwood exhibition game at the Joe Robbie stadium in North Miami. Drum was exorcising an injury that precluded him from taking the field and was delegated to scoreboard duties. But Damian was not beating any drum today except importance of country organisations pumping life essentials to the big smoke as the CFA, SES, Food Bank, Case, VFF, Deni Ute Muster HQ and a myriad of organic country produce stalls attested. These grass roots rural volunteers hailed from beyond the city limits where many AFL footballers spent their youth toiling in paddocks while building their character and sporting prowess. The big smoke, magnified by the windless weekend haze, could have been health hazards for spectators but the whip cracking, camel rides and wood chopping created circulation of sorts. Having arrived at MCG gate entrée time - 3 pm - I headed upstairs to Level 2 of the MCC members stand to reserve a seat for the big game. A premonition of sorts delayed me as I decided to watch at least one Cats victory - the local representative Geelong league team against the Mornington Peninsula. This meant I passed on face painting offers and missed Shannon Noll kicking the dew off the glass but arrived to hear him being thanked by Melbourne bluegrass band Mustered Courage . 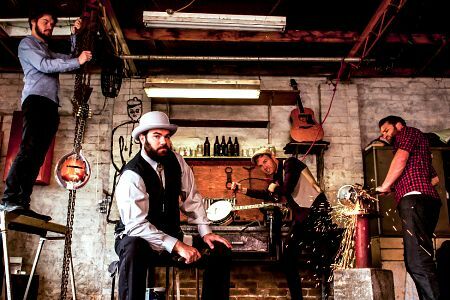 The 2015 Australian Country Music Golden Guitarist instrumental winners for their Candle Creek exploded with bluegrass standard Rocky Top before their originals Honesty and Can't Hide From The Moonshine from their third album White Lies And Melodies. Band members tried to remain neutral about their team support for the big game staged due south of their stage despite having filmed their video for Cruel Alibis from their debut album at the Old Geelong gaol. Instead there was an apology for having no merchandise for sale. It wasn't clear if descendants of residents of the old Geelong gaol were among suspects for the great bluegrass robbery. Maybe they headed east and became urban carjackers and home invaders. Jocularity came easy for Keeling and Abrahams, writer of another original Leave This Life Behind, whose musical union began in a hip-hop band while studying Jazz in Canberra. The audience was reminded it was competing aurally with nearby Deni Utes before the quartet revived Standing By Your Side from second album Powerlines. These hot pickers urged their audience to stay warm as they finished with an instrumental featuring bassist Josh Bridges and historic 1924 Appalachian song Cumberland Gap that has been recorded by artists diverse as the late Woody Guthrie, Flatt & Scruggs, P.J. Proby and very much alive Old Crow Medicine Show and Felice Brothers . “If you want to see us after the show we'll picking loose change out of the MCG gutters,” Abrahams joked. Instead the quartet vacated the stage to allow local country artist Michelle Gardiner and her guitarist Steve O'Hern to perform a short acoustic set. Gardiner included covers of Everly Brothers penned 1960 hit When Will I Be Loved - also a chart topper for Linda Ronstadt in 1975 - Dolly Parton's Jolene and Garth Brooks The River. She also performed a countrified version of Lady Gaga song You And I before reviving Need You Now by Lady Antebellum whom she saw supporting expat Australasian superstar Keith Urban across the Yarra at Rod Laver Arena in April 2011. Gardiner finished on a high with You Don't Treat Me No Good No More. I'm not sure if this was the 1992 Sonia Dada version or the Jerrod Niemann 2010 country hit released as Lover, Lover that featured Jamey Johnson and Randy Houser in the video on Nu Country TV . 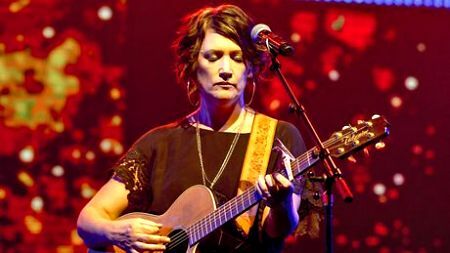 Sara Storer was well credentialed to be one of the headliners - the winner of 18 Golden Guitars was born on a wheat farm at Wemen near the mighty Murray River in the Mallee. Wemen, 40 kilometres from Robinvale where members of fellow country band T-Bones spent their youth, hasn't had a post office since 1974. It also hasn't had the Storer family who left town a few decades later and now operate a larger family farming operation at Warren in western NSW. So it was appropriate that Sara, now 43 and mother of four, opened her short acoustic set with Come on Rain and her tractor song Beautiful Circle - also title track of her second album. 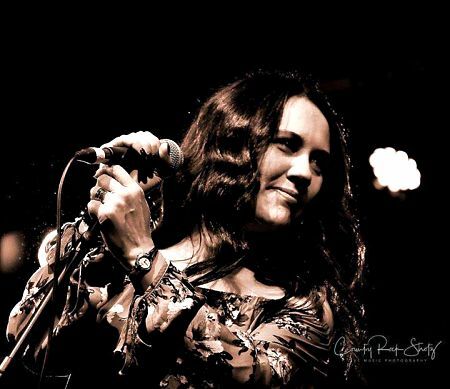 Storer was accompanied on stage by Terry Dean on lap steel and guitarist Garry Carruthers who performed live as a duo long after Dean played in pioneer Melbourne country rock band Bluestone from 1972. Trivia buffs may also note Dean had a 1975 Fable Records hit as Dean Stewart of Bobby David song Devil In The Bottle - also a 1974 smash by American country artist T.G. Sheppard. That was then and this is now and today they were here to accompany Storer on Mallee Girl and Here We Go Again penned by one of her three brothers - Greg. Storer also dedicated a song to North Melbourne and a 40 th birthday rendition to a teacher named Alesha in return for giving an A plus to one of her children. The family connection was fertilised further when she introduced the title track of her fifth album Lovegrass . Storer and her backing duo then decamped to the MCG where she performed Waltzing Matilda instead of the national anthem as the players, umpires and CFA and SES volunteers lined up. And, unlike the national anthem that Matilda replaced, the only combatants standing were players, umpires and volunteers. Meanwhile back at Yarra Park there was no long interval between the Storer departure and arrival of 2008 Australian Of The Year - Lee Kernaghan OAM. No need to change amps or mikes for the 53-year-old Corryong born and Albury raised singer-songwriter and father of two. Without much prompting the enthusiastic and rapidly growing audience stormed to the stage front as the singer burst from the wings for his energy charged three song set. “This is fantastic, a country festival in the heart of Melbourne outside the MCG,” Kernaghan declared as he launched into his classic Boys From The Bush on acoustic guitar to a sonic backing track. There was no danger of Lee being asked to nominate his favoured team for the big game inside the arena - the 36 time Golden Guitarist and the South Australian born Chambers family are long time Carlton supporters. Instead he thanked a fan named Sam who hosted a Ute muster at a Traralgon gig and gave him an illuminated naked girl that lit up the grill of his Ute. Kernaghan followed with ( I'm An) Australian Boy and another crowd pleaser The Outback Club. The singer, celebrating his 25 th anniversary Boys From The Bush national tour, revealed his encore was a live performance at half time inside the MCG. It may also have been an audition for a more appropriated genuine home grown headliner for musical entertainment at the AFL Grand Final. 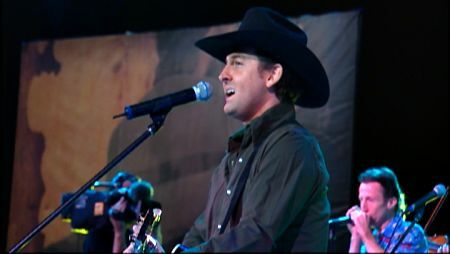 Kernaghan has raised millions of dollars for drought relief in his illustrious and altruistic career that also included hosting Nu Country TV. Among his fans are Geelong stars - Stevie Motlop, also a singer and musician, and ruckman Rhys Stanley. Hopefully they will also be centre stage on Grand Final Day.